For three and a half years of working within the Clearing House programme, we and our consultants studied the needs and difficulties faced by Belarusian NGOs. One of them is the lack of new ideas and tools for addressing the issues of target groups. Most often it happens due to lack of interaction with them. Identifying the real needs and priorities of local communities is not an easy task. However, there are methods that help to more objectively identify problems and determine the highest priority of them for your target group, and therefore make future project more efficient, and its results -- sustainable. It is with this purpose that we decided to hold our event. 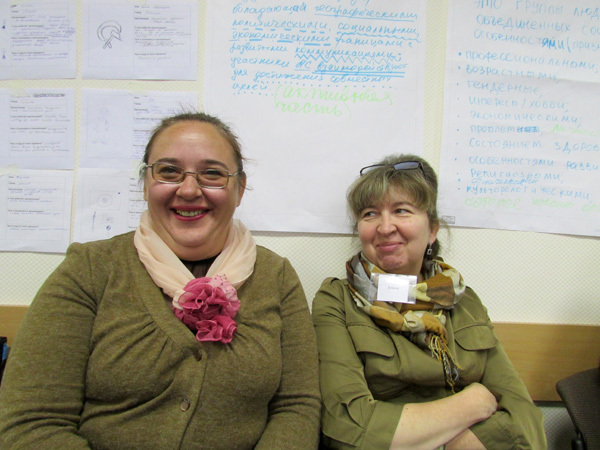 So, on October 18-19 in Minsk, within the Clearing House programme we conducted a training on methodologies of participatory community appraisal and planning and their application by non-profit organisations. Clearing House consultant Sergei Salei and expert on local development Halina Matiushenka spoke on how to make the project results long-term in their quality, and use the method of needs assessment when planning the programme activity of the organisation. In international practice, methods to identify problems at the local level with the participation of the local communities have several names: Participatory Rural Appraisal (PRA), Participatory Community Appraisal (PCA), Participatory Community Assessment (PCA). In Western countries, these methods are widely popular and are used for identification and for subsequent solution of the most important problems of the "local level". In Belarus, the first method of assessing of its own problems by community representatives was tested in 2003 in Hrodna, during the implementation of the New Opportunities for the Old Town project. As part of this annual project (2003 to 2004) a social club was created which defined the problems of "old town" and became engaged in their solution. For the first time in practice, the social club joined the active citizens, public associations, local authorities and businesses to solve local problems. As Sergei Salei, trainer and consultant at the Clearing House, noted, if you properly plan and carefully assess the needs of the local community, you can identify the problems that really concern people. In the future, preparation of projects according to this technique makes them more sustainable. In particular, in Grodno, during the implementation of the above mentioned project, problems of the Rumlyovo neighborhood residents were taken into account -- in the end, Rumlyovo park was turned into a popular holiday destination among the residents of the entire city. "We were educated -- we tried these methods at work," says Siarhey Salei (Sergey Saley). "It was the first time that this technology was tested then. We were so-called "pioneers" in Hrodna, among those who tried these methods." According to him, the club members explored the problems of the "old town" residents via polls and organized a "hotline". This assessment of their needs was conducted so objectively that today many of the problems that have been identified, as well as strategies to address them, are still relevant. 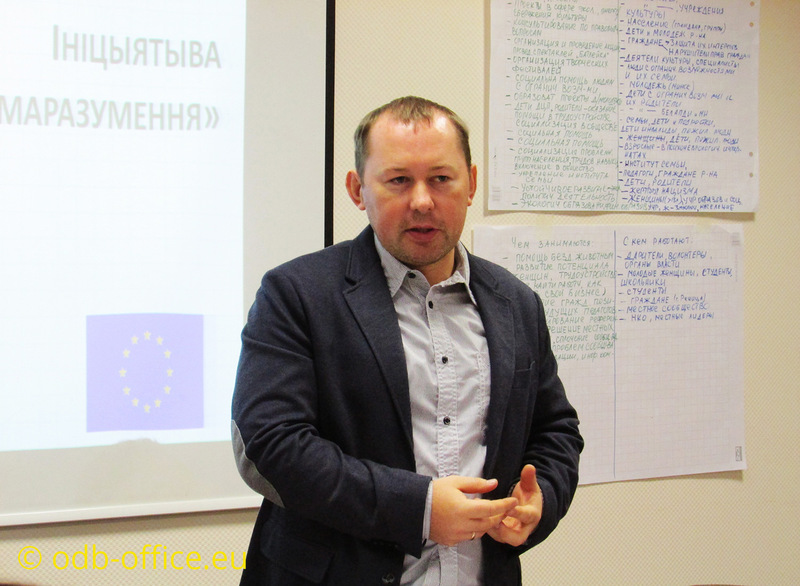 The training on the study of methodologies for evaluating the needs of local communities was attended by representatives of more than 20 non-profit organisations of Belarus. 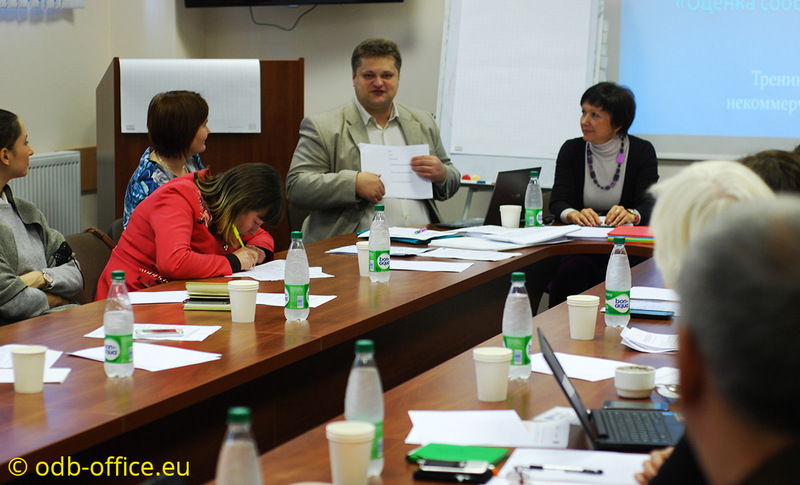 More than half of the participants were from the regions of Belarus. According to the training experts, the technique of using a needs assessment method for local communities can be successfully applied in the preparation of new projects. In particular, before the end of this year, participants will try to apply their knowledge by participating in EU calls for proposals. The new method of estimating the needs of local communities can be used in current operations of both non-profit organisations and government agencies. 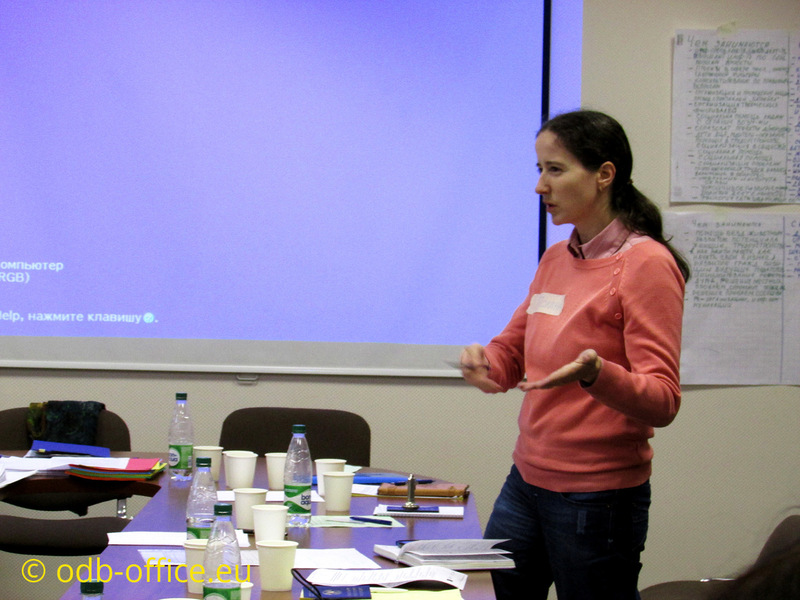 According to one of the participants, representative of Rahachou region executive committee Iryna Sedler (Irina Sedler), compared with small UNDP projects implemented in Rahachou region, programmes of the European Commission and the European Union are more complex - more knowledge is required to prepare project proposals. Today, European programmes open new perspectives in the field of culture, energy, transport, etc. 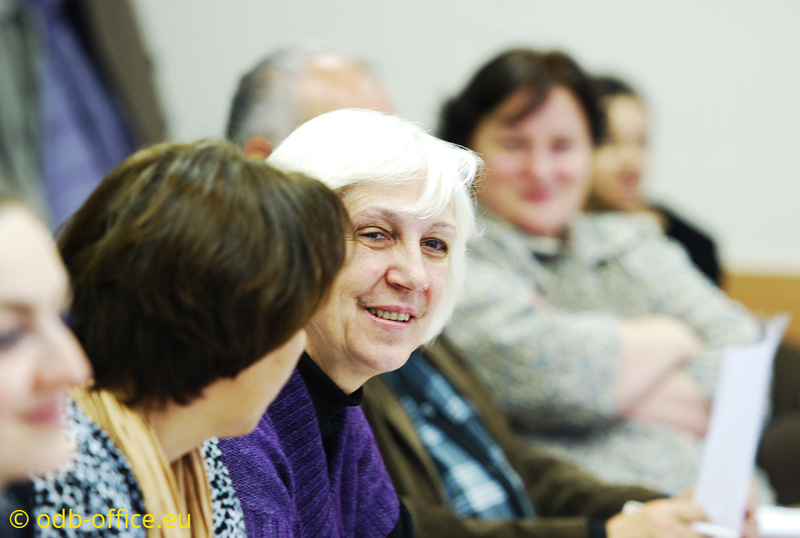 As was noted by Irina Sedler, the social needs' assessment of the population can help not only NGOs but also local authorities to identify the real needs and concerns of the population that can be solved with the participation of the population itself. In this case, you can involve people not only in the process of identifying problems, but also in the process of solving them. During the training, participants in the study-play manner identified the needs of local communities using the examples of "inhabitants of apartment buildings" and "representatives of non-profit organisations", learning a new technique for themselves through case studies. For example, among the main problems of non-profit organisations, training participants noted low social activity of society members, weak partnership of nonprofit organisations and government agencies, the lack of communication with the media and lack of finance. Coordinator of International Public Association Golos Serdtsa (Voice of the Heart) Palina Charkas said: "Some organisations have already attracted our interest by their experience, approaches; we would like to cooperate with them. The community needs assessment is a very good tool that allows you to quickly, very efficiently identify and solve relevant issues. That is, CNA is a finished product, a technique that will allow without "reinventing the wheel" just do what you need, and it will immediately show the situation the way it is." One of the training participants is a volunteer movement from Rechitsa called Help for Homeless Animals (Homel region). This spring, the movement presented their own project Dobryj Dom (Kind House) dealing with arrangement of private shelter for homeless animals at the Social Weekend-3 competition. Through the Maye Sens (Makes Sense) auction, the organisation received funding in the amount of 1,000 USD. "We are interested in training volunteers, conducting trainings, learning from the experience of our colleagues from nearby countries," says the head of the volunteer movement Larysa Kukhto (Larisa Kuhto). "We know what other funds can be used and where else we can present ourselves. We know how to do it correctly, not "at random", without making mistakes, and when there is already a CNA technique - just take it and use it - this is what important." According to her, the trainings for regional organisations are useful because they can develop relationships with representatives of various NGOs, for example -- with human rights organisations that can advise you in legal matters. 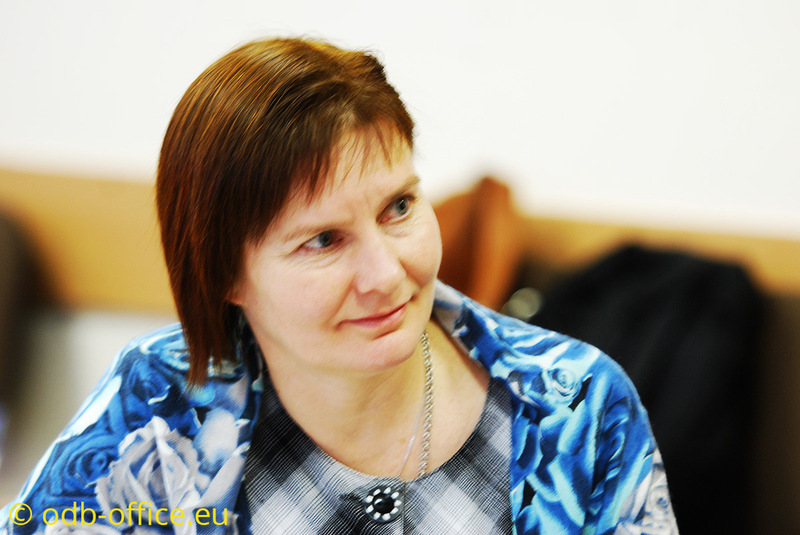 As the expert on local development Halina Matiushenka (Galina MAtiushenko) notes, "for organisations this tool is a support that they can use both in their project and in their public programme activities. People get the tools with which they can achieve their goals. Motivation comes with certainty". At the same time, this method (CNA), according to Volha Halamaka (Olga Golomako), representative of the private social institution Mogilev Regional Office for Social Solutions can be used to assess NGO community problems. "We learned the methodology itself, the approach allowing us to objectively, competently and reliably identify what exists today in society, in small groups, organisations and the like. The technique is universal. This method also needs testing among the NGOs, because sometimes we do not know why we are inactive, why NGOs are closing, and whether it is caused by their own inefficiency. And what can be done to prevent these situations." Application of the presented technique significantly improves the quality of the new projects of non-profit organisations, notes the coordinator of the Clearing House Maxim Padbiarozkin (Maksim Podberezkin). "We want to see a range of problems with which the organisations are dealing to be constantly expanding. All the organisations, which we dealing with, say that they work with their target groups. But not many organisations can deal with problem identification. The CNA method helps to identify the real problem which is hidden, "masked" with other problems. The organisation cannot take care of all the problems on its own, without the participation of the state and all the stakeholders." One of the stages of a successful organisational development is teaching NGO representatives new techniques to improve the quality of their work. Today the Clearing House programme provides free counseling support to nonprofit organisations in the preparation and implementation of new projects. According to experts, identification of priority issue, involvement of all stakeholders in the implementation of the project to solve it, is a key factor in the success of the project with long term sustainable results.